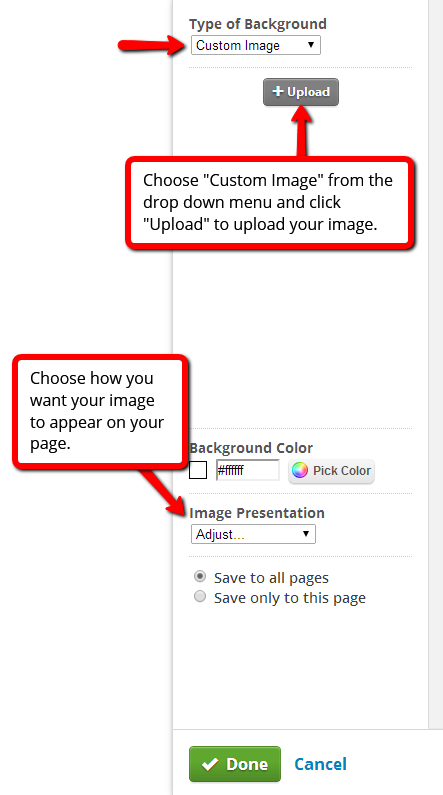 There are two ways to change your background. 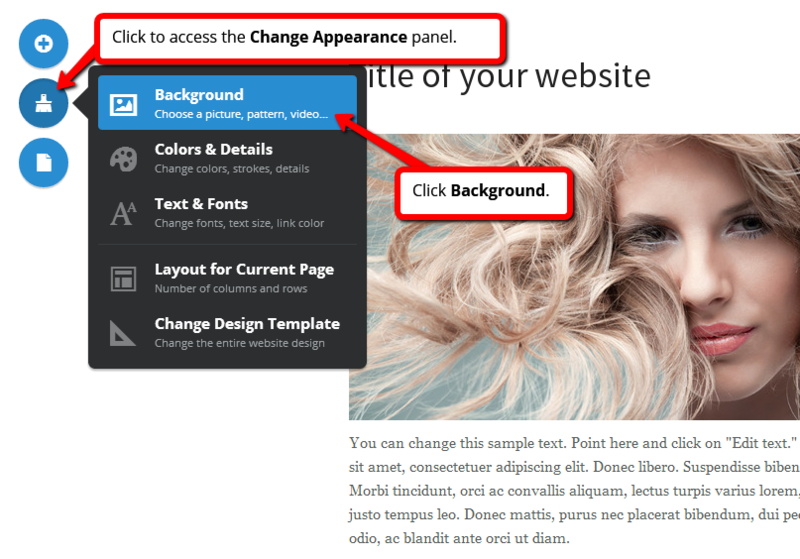 The quickest way is to click Background in the Change Appearance panel. 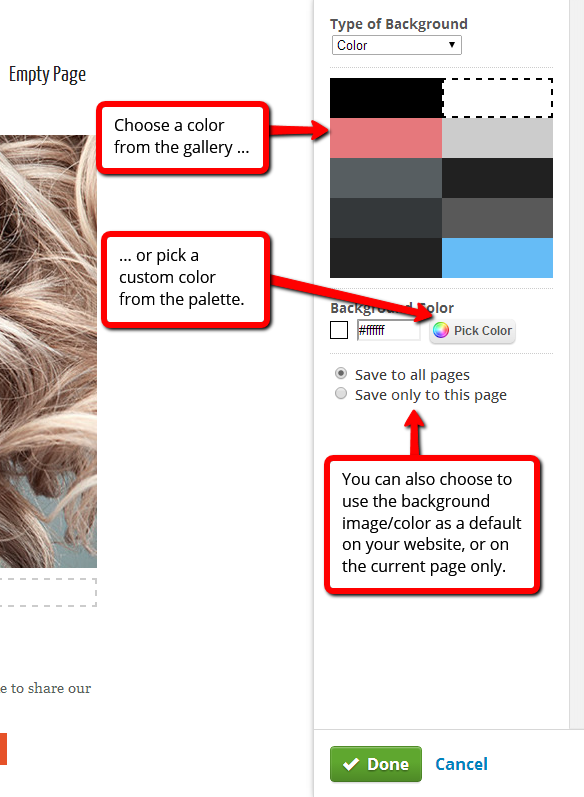 You can also reach the Background panel by clicking Colors & Details, and then selecting Change Background. Once you've clicked Change Background, this panel will appear. 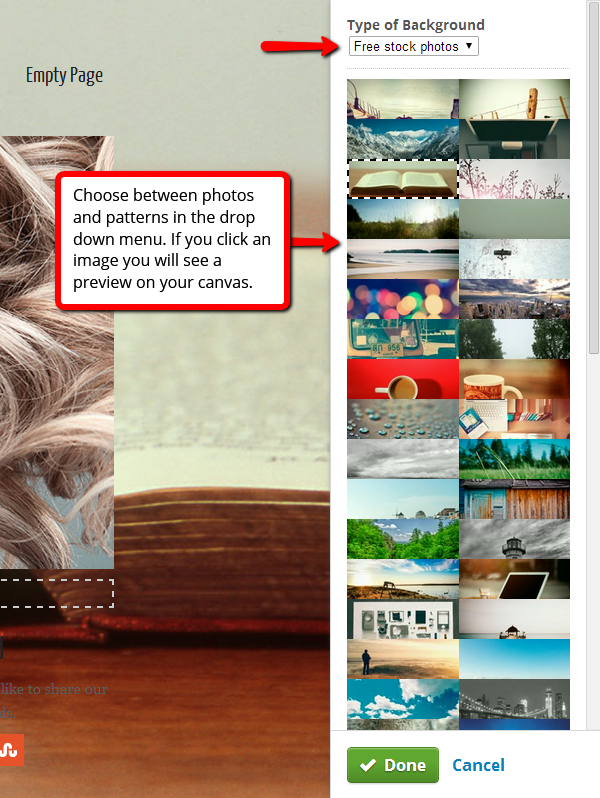 Use the drop down menu to select different types of backgrounds, and then choose from a variety of available background images, patterns and videos in the gallery. 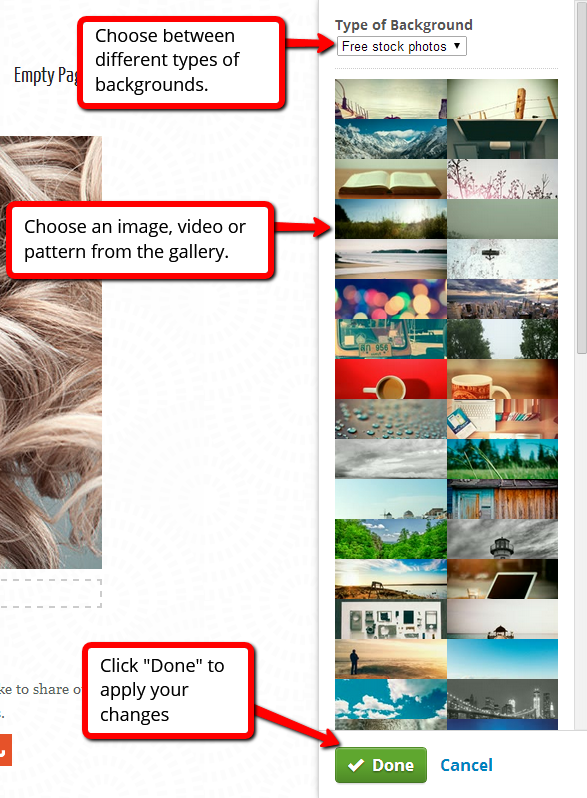 Of course, you can also upload your own background image. 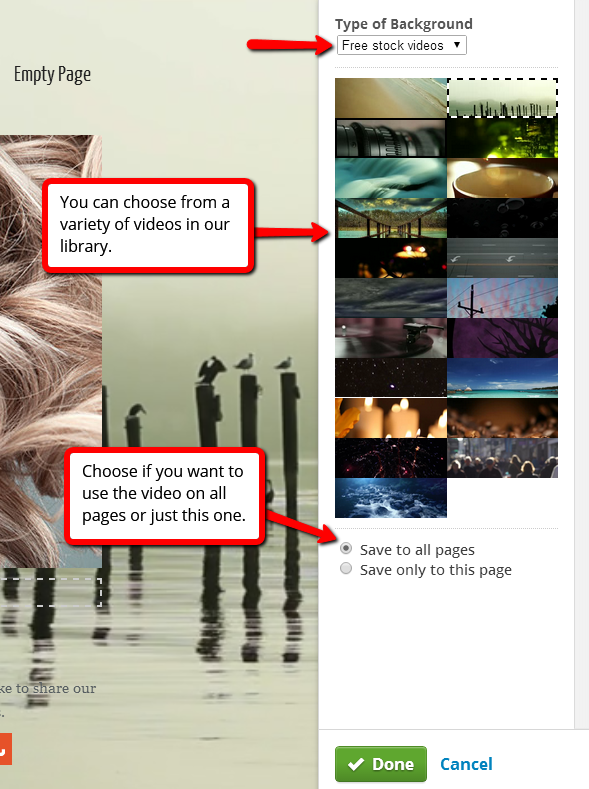 You can choose to use a video background for your website - you will find free stock videos in our library. 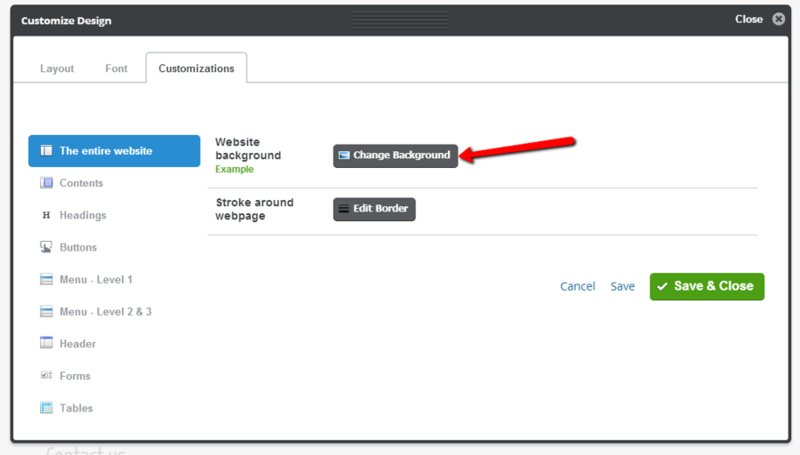 If you choose to use a video background, you can pause it while editing your website. Mouse over the background until the Background button appears and click the play/pause symbol to toggle the video mode.